ACW Infantry in Shirt and Hat Command Group. 4 figures, supplied unpainted. 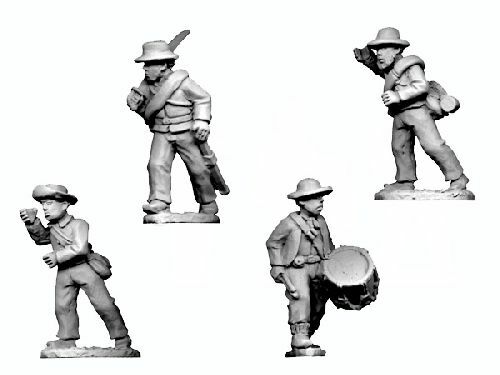 28mm sized metal figures.